As if the holidays weren’t fraught enough with issues of finding the perfect gift for each person in your circle, holiday menus are now becoming increasingly individualized affairs as well. Gone are the days when all a host had to worry about was having something to offer the lone vegetarian in the crowd. Now, there are gluten-free diets to consider, lactose-intolerant guests, diabetic relatives and a variety of other dietary restrictions that a thoughtful host needs to consider. But as complex as this all may sound, following a few simple strategies can help streamline holiday menu planning and ensure a festive, delicious holiday meal that everyone around the table can enjoy. Choose dishes that do double (or triple) duty: Rather than think about a separate vegetarian entrée for veggie guests, low-glycemic sides for diabetic guests and gluten-free options for guests with Celiac Disease, why not offer a single dish that meets multiple criteria? For example, a stuffing made from quinoa and traditional seasonings (sage, chestnuts, mushrooms) would be diabetic friendly and gluten free as a side dish; offer it stuffed inside a roasted acorn squash and it’s transformed into an elegant vegetarian entrée. 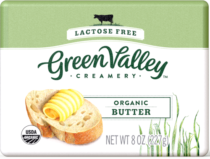 Replace all dairy ingredients with lactose-free versions: From the sour cream in your crudités dip to the heavy cream in your pumpkin pie, lactose-free versions of common dairy products are available. 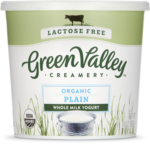 Look for lactose-free sour cream from Green Valley Creamery, and swap in their lactose-free plain kefir for heavy cream. Your dairy-friendly guests won’t notice any difference in taste or texture of the final product, but your lactose-intolerant guests will appreciate being able to partake in the full meal without paying for it later. For recipes that call for cheese, hard aged cheeses like cheddar or Parmesan are virtually lactose-free and shouldn’t be a problem for lactose-intolerant guests in small quantities. Kill the heavy cream: Between waist-watching guests and the cholesterol-wary, no one needs the 820 calories and 325mg cholesterol per cup that heavy cream brings to the table. For a lower calorie, lower fat and lower-cholesterol substitute, swap in lactose-free plain kefir ounce for ounce in your recipes that call for heavy cream. It’ll save you at least 90 calories per slice of pumpkin pie and help lighten up everything from mashed potatoes to eggnog. Keep the meat out of side dishes: Use vegetable broth instead of chicken broth when making stuffing, smoked paprika instead of bacon to flavor Brussels sprouts and gelatin-free (kosher) marshmallows to top the sweet potato casserole. These are all simple swaps that ensure vegetarian guests can make a generous meal out of the side dishes. In fact, this may enable you to avoid having to make a separate vegetarian entrée altogether! Tamara is a registered dietitian whose NYC-based clinical practice specializes in digestive disorders and food intolerances. She writes about healthy eating and digestive health at US News' eat +run blog and on her personal blog devoted to gluten-free, plant based living. More about her medical nutrition therapy practice can be found at www.eastrivergastro.com.